The MFJ-969 Antenna Tuner gives you MFJs superb AirCore Roller Inductor and full 6 meteres through 160 Meter coverage! 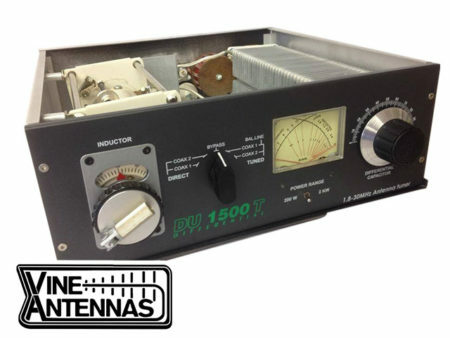 You get everything youve ever wanted including…300 Watts PEP SSB full featured antenna tuner, widest matching range, full size lighted Cross-Needle SWR/Wattmeter reads true peak forward power, QRM-Free PreTune, 8 Position antenna switch, built in 50 Ohm dummy load, heavy duty 4:1 balun — all in a tough, attractive cabinet. MFJs famous 1 year No Matter What warranty. The MFJ-969 Antenna Tuners AirCore Roller Inductor, gear driven turns counter and spinner knob gives you exact inductance control for absolute minimum SWR. MFJs exclusive AirCore Roller Inductor has an air core that cant burn up! You get ultra-high-Q, the lowest loss, highest efficiency and highest power handling of any roller inductor in ham radio. MFJs exclusive Self-Resonance Killer Keeps potentially damaging self-resonances away from your frequency. Huge self-cleaning wiping contact gives you excellent low-resistance connection without contact arcing or burning. Solid 1/4 inch brass shaft, self-align bearings — smooth non-binding operation. 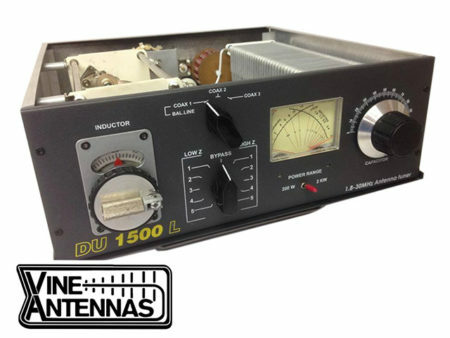 The MFJ-969 Antenna Tuner covers all frequencies from 160 Meters thru 6 Meters, including the “magic band” — the widest matching range of any full featured antenna tuner. Match dipoles, verticals, inverted vees, random wires, beams, mobile whips, SWL receiving antennas — nearly any antenna. You can use coax cable, random wire or balanced lines. 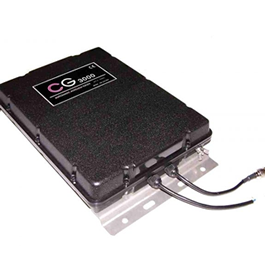 Has heavy duty 4:1 balun. MFJs new ActivePeak reading Circuit accurately reads true peak forward power — an MFJ exclusive. MFJs lighted Cross Needle SWR/Wattmeter reads SWR, true peak forwards and average reflected power simultaneously on 300 Wat or 30 Watt ranges. Lamp has on/off switch and uses 12VDC or 110 VAC with MFJ-1312D, $14.95 ActivePeakReading Circuit can also use a 9 volt battery. MFJs 8 positions let you select two coax fed antennas, random wire/balanced line or built-in dummy load for use through your MFJ-969 or direct to your rig. MFJs QRM-Free-PreTune lets you pre-tune MFJ-969 off the air into a built in dummy load without causing QRM. Pre-tuning into a dummy load makes tuning your actual antenna quick and easy! 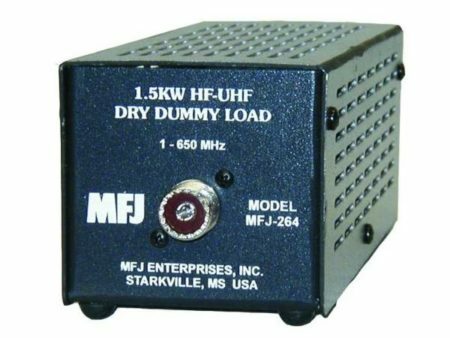 The MFJ-969 Antenna Tuner has a full size non-inductive 50 Ohm dummy load. 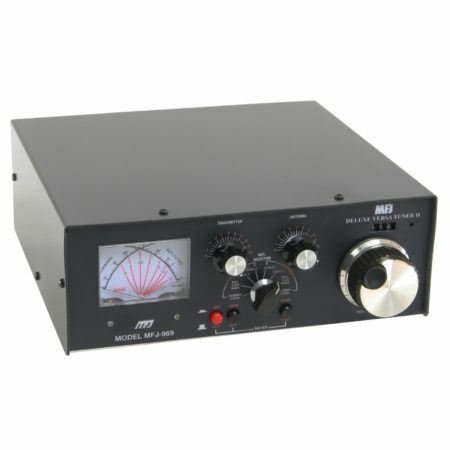 Youll find it handy for tuning, testing, repairing rigs, setting power level, adjusting mic gain, etc.